Mom's Diary: food trip Friday-Menudo. Hi and welcome to Food trip Friday. Here is my FTF for this week!!! I cooked dinner for my friends yesterday they are around 10 to 15 people and five of them are Japanese. I was overwhelmed that they love my food hurray!! But I need to go home early after I received a phone call from my mom. She said that Dad needs to go to the hospital that night because he had a mild chest pain. To all my readers, please pray for my dad's speedy recovery. I'm so scared and worry right now.. Thank you so much ! Join us here in Food trip Friday! 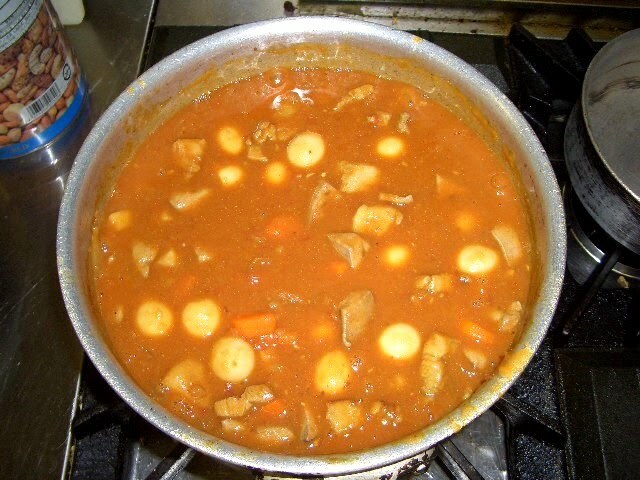 I love your menudo dear--medyo matagal na rin akong di nakapag luto nyan which reminds me to cook that soon.But yours looks yummy,Mommy Jac! Oh no!Sorry to hear that--I'm praying for his fastest recovery.Hold on there,Mommy Jac..
nakaka-worry talaga kapag may loveone tayo medyo hindi ok.. Ill pray for your dad's speedy recovery. Get well to him. It's great that they appreciate our pinoy food, sorry you have to leave early. I will definitely include your dad to my prayers. Sarap ng Menudo. May God Bless your Dad! I hope your dad is ok now... your Menudo looks good, nakakagutom. Mukhang masarap ang Menudo mo Jac. How's your dad anyway?What happened to him?Hindi ako naka update dito since I'm too busy for my trip added here that my niece had been hospitalized.I'll pray for your dads fast recovery Jac. Yumm, im drooling with your menudo sis.